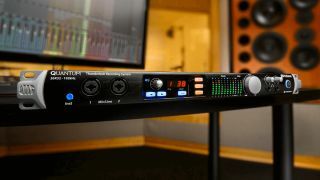 PreSonus has just unveiled a new flagship Thunderbolt 2 audio interface known as the Quantum. This 26-in/32-out box promises super-low latency and a “no-frills’ direct-to-DAW signal path”. The converters are 24-bit/192kHz and deliver 120 dB of dynamic range, while PreSonus’s XMAX preamps promise “superb: audio quality. If you want more I/O, you can stack up to four Quantum interfaces together in one system. The analogue I/O comprises two combo mic/instrument/line inputs and six combo mic/line inputs, each with a digitally-controlled XMAX preamp and +48V phantom power. You also get two 1/4-inch TRS main outputs, eight 1/4-inch TRS line outputs, and two independent headphone outs with dedicated volume controls. On the digital side you’ll find an additional 18 inputs and outputs via ADAT Optical I/O and S/PDIF stereo digital I/O. There’s also BNC word clock I/O and MIDI I/O. Quantum is designed to integrate with PreSonus’s Studio One DAW (the Artist version comes in the box) which gives you full control of the preamps. Other features of the device can be controlled via the UC Surface control software. Expect to see Quantum in stores in the second quarter of 2017 priced at $1,000. 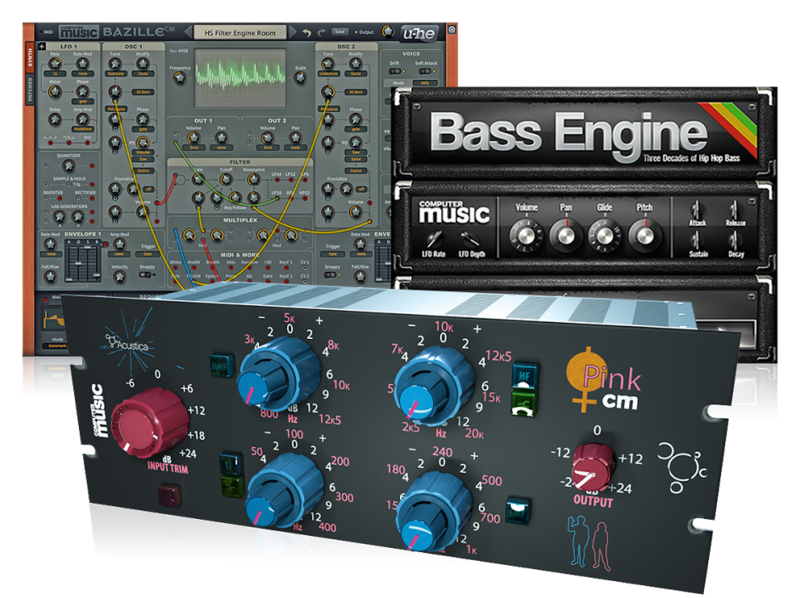 Those who buy it will also receive the Studio Magic plugin suite and be entitled to a 50% discount on the upgrade to Studio One Professional. Find out more on the PreSonus website.